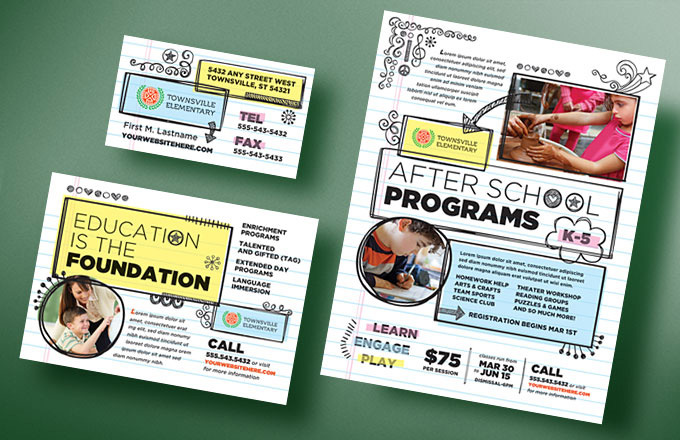 If you’re looking to make informative newsletters or creative flyers and posters for your elementary school, get them done quickly and easily with pre-designed, editable templates. 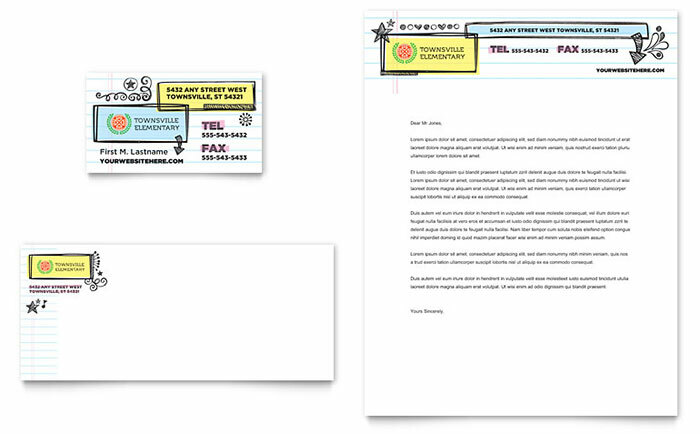 Creating a newsletter from scratch or making a flyer that gets noticed can be very challenging. By starting with a ready-made graphic design, you can simply update the content with your own text and pictures and you’ll have a finished, professional design before you know it. 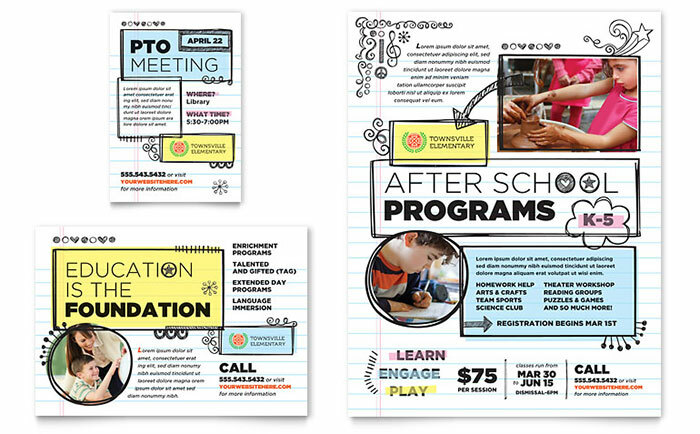 Featured below is a set of templates for an elementary school that is available for purchase and download at StockLayouts.com. Take the guess work out of design and get a jump start with these eye-catching, customizable templates. 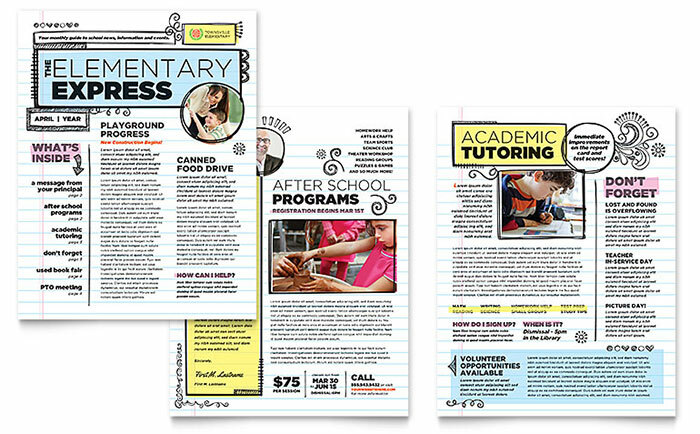 Looking for more creative ideas for school newsletters? 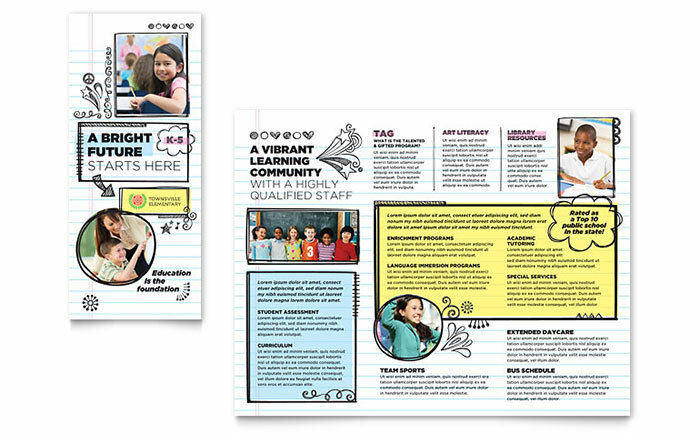 Our previous article 15+ School Newsletter Templates & Design Ideas is another great resource for design and layout ideas. Working in Microsoft Office Word or Publisher? 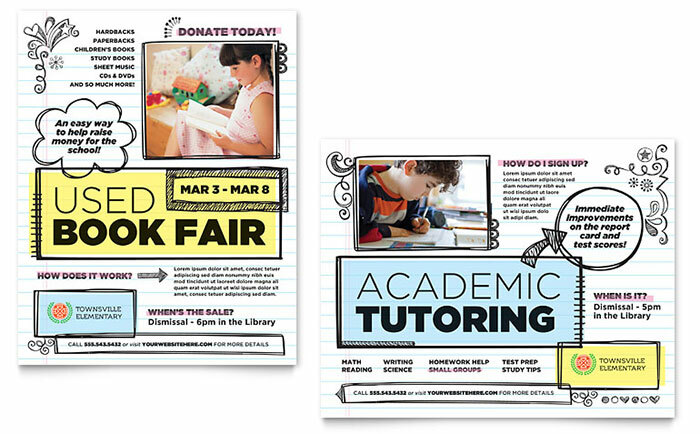 Get newsletter and flyer templates for Microsoft Word and Publisher from LayoutReady.com. Or, download a simple Word template for an elementary school newsletter from the Microsoft Office website.